Mission Creek Regional Park and Greenway is one of Kelowna's most visited parks. It includes an educational centre, salmon spawning channel, picnic areas, and a new playground. 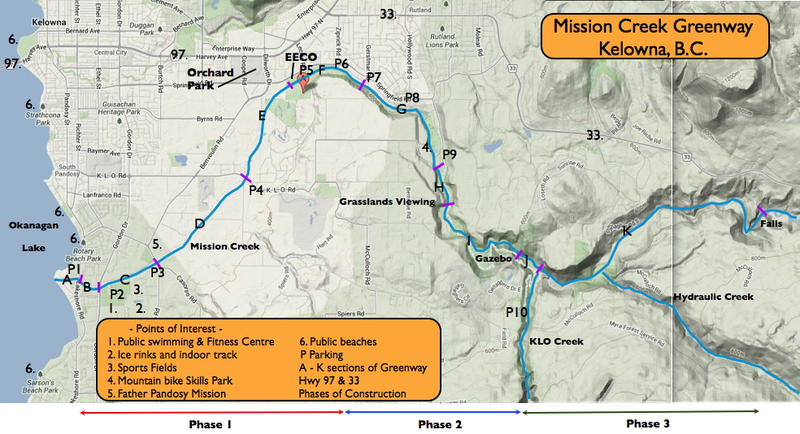 Mission Creek Greenway, when complete, will be 26 kilometres in length from the shore of Okanagan Lake to Mission Creek Falls. 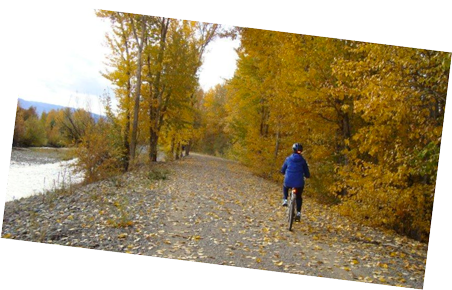 The Greenway offers a lengthy trail system that traverses through Kelowna's beautiful and diverse landscapes. You can now connect with us on Facebook! Copyright © 2013 Friends of Mission Creek Society. All Rights Reserved.